You are here: Home / Health Blog / FOOD CANNOT TREAT DISEASE! In the last few years, there has been a swing towards raw, organic food and facebook readers are swamped these days with so-called ‘miracle’ foods that will treat every illness known to man. There are posts on everything from pomegranates and pineapples through to trendy food products such as chia seeds that are supposed to be ‘cure alls’ for skin problems through to serious diseases such as cancer and diabetes. This raw food revolution has a lot of merit but it can also be dangerously misleading to those gullible enough to believe they don’t need proper treatment (natural or conventional) and that food will be the answer to all their ills. So how beneficial is healthy food? There is no doubt that the number 1 reason people develop disease is through eating an incorrect diet over a long period of time. A diet that includes an abundance of fresh, raw, organic foods is one of the best ways to prevent illness – that’s plain common sense. However, what’s right for one person may not be right for another and even if it was biologically appropriate – an optimum diet can’t actually treat disease on its own. 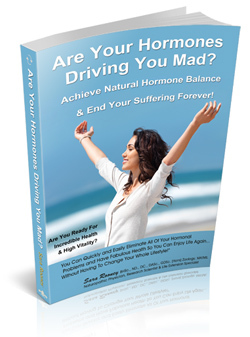 Furthermore, common causes of disease such as pathogens (viruses, bacteria, parasites, fungal infections, etc); toxins (pesticides, herbicides, lead toxicity, etc); chronically unbalanced mental health (depression, anxiety, etc); insomnia; hormonal imbalances (thyroid dysfunction; excessive or deficient hormones causing menopausal symptoms and PMS); and a whole host of other health problems – cannot be treated by food and therefore, people that develop health problems or disease cannot be ‘cured’ by a healthy diet alone. So while an optimum diet may prevent disease in many people, it is hardly capable of treating illness. Not only that, a large percentage of the population have genetic defects that they are not even aware of that puts them at much higher risk of certain diseases such as heart attack, stroke, cancer, and mental illness such as bipolar and schizophrenia. These include MTHFR mutations, pyroluria and other genetic, metabolic malfunctions that are easily treated with specific forms of nutrients but need to be taken for life as the conditions are manageable but not treatable. Again, a healthy diet will not address these conditions. Many people think of nutrient and herbal supplements as being necessary for the prevention of disease and while that may be true, in many cases, the correctly prescribed nutrients or herbal extracts can be just as effective as many conventional medications at treating disease if they are medical-strength; highly bio-available forms and are all natural (as opposed to cheap synthetic forms) and most importantly, have been appropriately prescribed for the person’s unique biochemical and metabolic requirements – not just taken because facebook or a magazine article said they were good! So the best way to prevent disease is to consult a well-trained Naturopathic Practitioner that relies on clinical pathology tests to identify which nutrients your biologically-unique body really requires to prevent disease and finding out which naturopathic medicines are the most effective in the treatment of certain diseases and listening to their advice which is usually based on many years of formal study, research and clinical experience in helping their patients achieve optimum wellness. If you want to increase your chances of developing disease – keep relying on facebook information, websites or the advice from your (non-qualified) friends and family members or the advice from health practitioners that fail to conduct the appropriate clinical tests on you and keep believing that food alone will prevent disease.